Can anyone help? 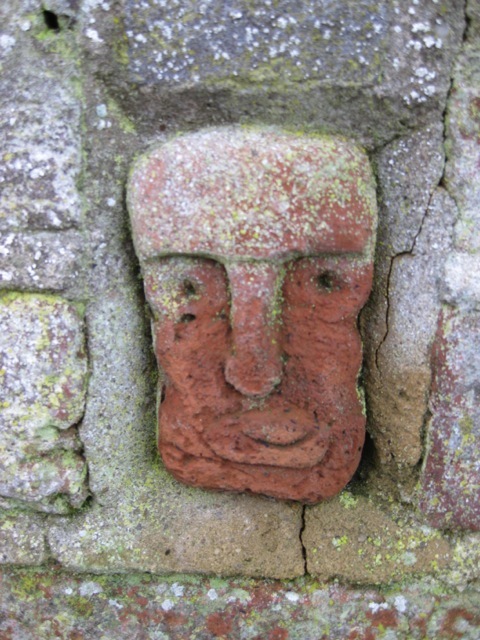 While on my walks around the village I have noticed an unusual brick in the Boughton Aluph Wall (one of the longest walls in Britain built by a father and son) in front of Middleton Cottages, which has been carved into a face. To find the ‘face in the wall’ start by facing the Iron Room and then walk towards St Christopher’s church. The face is a little way along. When was it built into the wall, by whom and what is its significance? I would love to know! Please send me any information you have for inclusion in a future Parish Magazine. You are cordially invited to attend the second AGM of Boughton Aluph and Eastwell Residents’ Association. We plan to bring you up to date with what we have achieved since our inaugural meeting. There is a lot going on that may have implications for communities across Kent and in particular in rural areas where small and large scale housing developments may occur quickly. We hope that what you hear will encourage you to join us and support our aims. It is intended to allocate two hours for the meeting with extra time if needed for questions and answers. Committee Members will present themselves for re-election and we would welcome nominations from any interested in becoming committee members. Please advise the Secretary, Elspeth Watt, by phone on 01233 813810 or by e-mail at Elspeth.watt@aceplanconsultants.co.uk We expect that the formal business of the meeting will take about 20 minutes. We will then progress to the main topics of concern for our community in the coming years in particular and beyond. The re-establishing of a Neighbourhood Watch Scheme for the area, to help ensure community safety and ensure that those who may be vulnerable by isolation have a point of contact for help and assistance. An active Neighbourhood Watch Scheme can combat the increase in rural crime by ensuring that unusual activity is noted and recorded. The use of internet technology will now make the awareness of such activity quick and easy and make crime more difficult for the opportunist. The Neighbourhood Plan – We need to ensure that the voice of our community is heard in the development process of a Plan which will affect the whole of Ashford. The Residents Association is working constructively with the Parish Council and has a number of members on the planning sub-committee which will provide input for a Plan that will be agreed with the Borough Council and will eventually update and modify the existing Parish Design Statement . The BA&ERA was formed in November 2011 with the aim of achieving and maintaining a vibrant rural Parish of Boughton Aluph and Eastwell, quite distinct in several ways from the adjacent relatively concentrated urban area of Goat Lees/Trinity Road. Norma Devereese, Laurie Fermor and Alan Vaughan. Thousands of new homes built… planning processes.. Sustainable strategies!! Rise your awareness.. today..in just 5 minutes..!! A constant desire from residents is to know more, what, where and when… The residents association, Parish Council and ABC are working on a Plan… please take the time to watch the above clip if you missed Sundays Countryfile – it’s one of the first clips, not very long but very very good at explaining the current drive to building, planning and community impact. A big thank to Elspeth, an active member of the residents association for sending me the above link. I have great pleasure in sharing it on our blog.